The claim was made during a debate in the Scottish Parliament on Scotland’s Future Economy which was proposed by Scottish Labour and highlighted recent factory closures including the closure of Pinneys of Annan with the loss of 450 permanent jobs and hundreds more agency and seasonal posts. In his speech Colin Smyth focussed on the impact the closure of Pinney’s has had on the town of Annan and the wider region but argued that despite promises of support from the Scottish and UK Governments, so far only £250,000 had been invested by the Scottish Government to support the workforce and that came from the existing budget of the South of Scotland Economic Partnership. 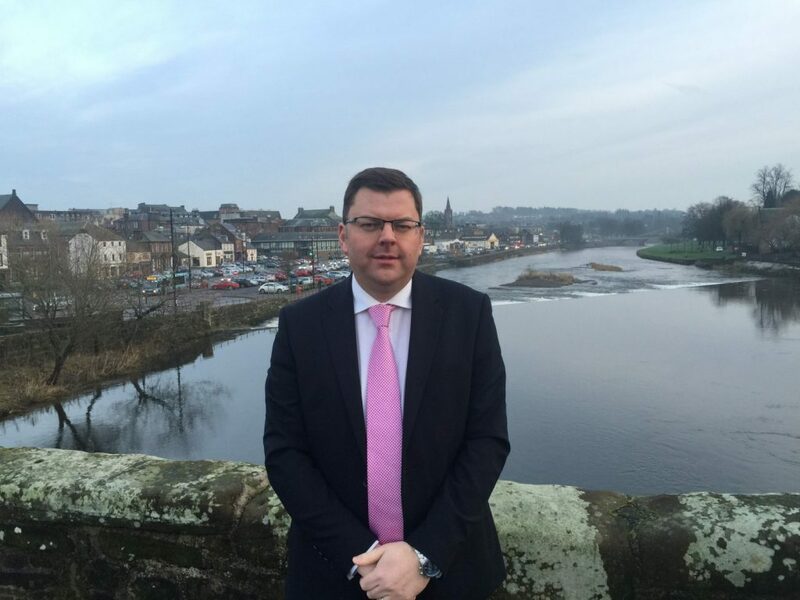 Colin Smyth used the debate to reiterate his call for £10million of investment from the Scottish Government in the development of an Economic Action plan for Annan and the wider DG12 area to support existing business to grow and attract new companies to the area. “The response from the Scottish Government was a so-called Taskforce. The community were told – no stone would be left unturned to convince Young’s Seafood to change its mind. They were then promised everything would be done to find a buyer for the factory. Then told support would be given to help those losing their jobs find alternative employment. Speaking after the debate Colin Smyth said, “While the buck for the closure of Pinneys rests with owners Young’s Seafood, the tragedy is the fact there are simply not the alternative employment opportunities in the community for people turn to. For too long the local economy has been neglected. The scale of job losses that was experienced in Annan at a result of Pinney’s closure would have been comparable to loosing 12,000 jobs in Dundee. When 850 jobs were lost at the Michelin factory in Dundee the Scottish Government were quick to force the company to do all it can to help attract and facilitate a new employer. Six months after the last employee left Pinney’s the factory is still standing and the factory boarded up. With a neighbouring council site that is currently for sale it won’t surprise anyone if the public sector ends up footing the bill to demolish the Pinney’s site – with Young’s doing nothing to support workers and a community that were loyal to the site for four decades and to their company for a decade. We must see urgent investment into Annan to help grow the economy and support the local community. £250,000 from a Scottish Government budget that was already allocated isn’t anywhere near enough to grow our local economy. The SNP Scottish Government must allocate £10million that can be invested into Annan and the wider DG12 area through a proper Economic Action Plan.